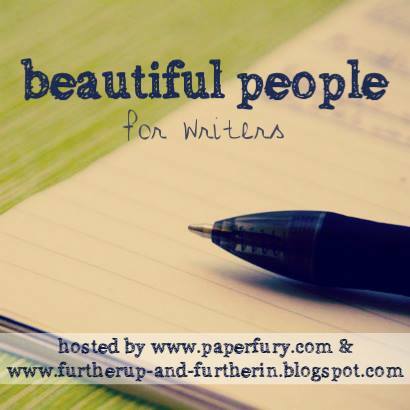 Today I’m linking up with Sky @Further Up and Further In, and Cait @ Paper Fury (formerly Notebook Sisters) to participate in their lovely interview thingy, Beautiful People! I did a post for Beautiful Books back in November, but I’ve yet to do an actual Beautiful People post for interviewing characters. 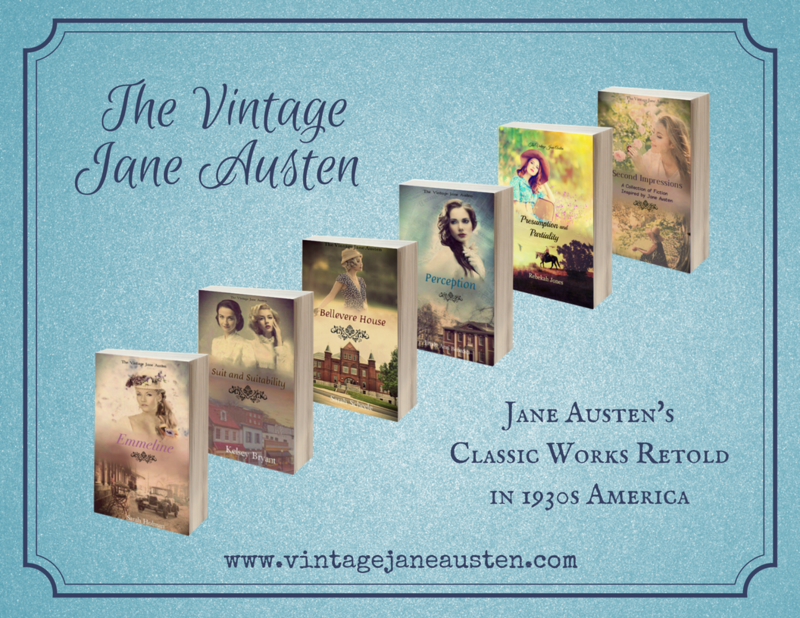 …And it would seem I still won’t have done that, since this month is an Author Edition! Which means it’s interviewing me instead of my characters. I know. What a disappointment. Still… on with the show, shall we? I’ve been writing stories for 12-ish years (yes, I was young!) but I officially decided to be a writer nearly 8 years ago. I did a post about that beginning — I decided I was going to finish my first book and go on to be a writer… And here I am. I’ve always been, really. Nearly as long as I can remember. There was no specific how/why. It’s a thing that happened once I could use a pencil. And then a computer. It’s just… me. I assume it’s because I read so much (and started reading so early) and was homeschooled and always had stories going on in my head. Finishing things. It’s so hard to actually FINISH a book. (Well, that and sitting down to write, sometimes…) I have a million ideas, and I’ve started copious stories, and gotten fairly far into several of those, but… they just don’t finish. I usually get distracted by another shiny idea, or just… lose focus. At night. I’m afraid I’m a bit of a night owl… despite my attempts to get on a better schedule. My writerly brain just seems to get working more at night, and some of my best scenes are brainstormed and/or written at 2 a.m. I posted a picture of my writing area/desk once in this post… (It still looks like that, just not as tidy…) But actually, although I do work at my desk a lot, I might do my actual writing more often while sitting in my big comfy chair where I read. Haaaaaaaaaaaaahahahahaha. *falls on floor laughing* …Ahem. Well. I have so many stories flying around in my brain… I guess I’m usually actively working on at least a couple, but I can’t be too active on more than four-ish… Usually there’s one or two that are most prominently being written, but there’s always plotting and snippets from several others going on. HAPPY. HAPPY. Do not give me tragedy; and only bittersweet under verrry special cases, people. I like my happily ever afters! And hope. And good things like that. Reading sad endings often makes me want to throw things. Like the book. At the author. Ahem. Lloyd Alexander–probably the most. George MacDonald and C.S. Lewis. (They were the three who started me writing fantasy.) J.R.R. Tolkien, naturally. And Eleanor Cameron. And probably Mirriam Neal. But to be honest, I’ll settle for actually finishing the stories I’m writing right now, and getting to some of my special projects, sometime in the next few years, WITHOUT going crazy. Yes. Six specific ones, in fact. The climax of my epic fantasy series. A novella that I can’t even describe in words, so I don’t have the skill to convey yet. My time-travel story because it needs a lot of research and is deepish. Both my sci-fi novels–they need experience, and again, deep things. And another book that has a lot of deep/dark stuff going that I’m not ready for. For all you young authors who tackle big stuff in your books right away — good for you. But I’m not going to try doing certain things till I know it’s the right time for me to try. Well, all of them in their way, naturally. But lately, my contemporary-fantasy Kedran’s Wood series — that was recent, sudden, and I was not expecting it to get my heart like that! 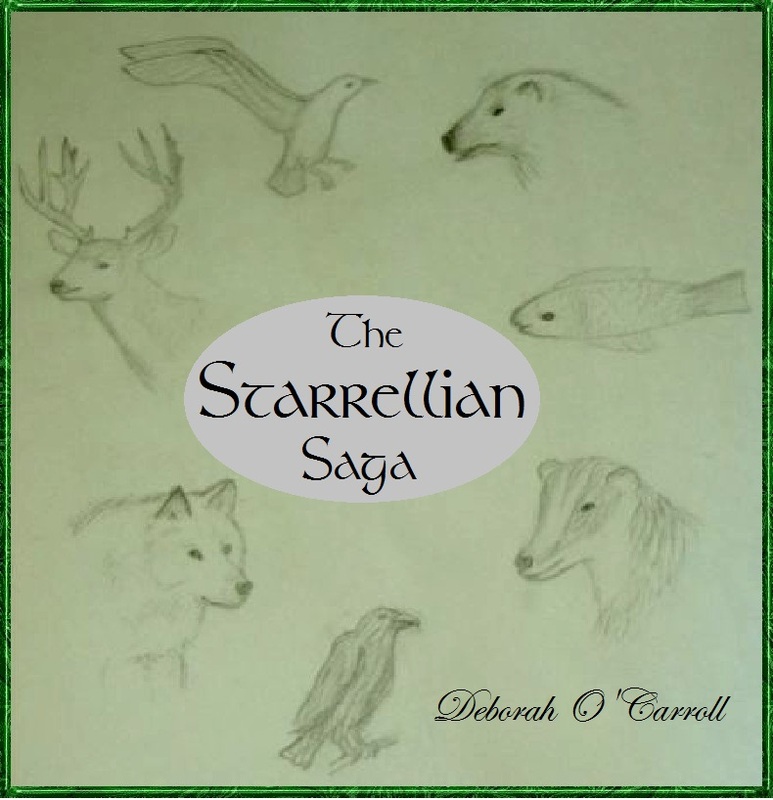 But it used to be (and is still in the background, waiting…) my epic fantasy series, the Starrellian Saga. They were my original stories, and they’ll always be nearest and dearest my heart in their way. Because while the characters of Kedran’s Wood may have become some of my very best friends… Starrellia is my HOME. My original, old home that I discovered first in my writing. I’m letting that series simmer quietly on the back burner while I finish some other things. But I look forward to the time when I can return to it, and give it my full attention again . . .
. . . and return home.